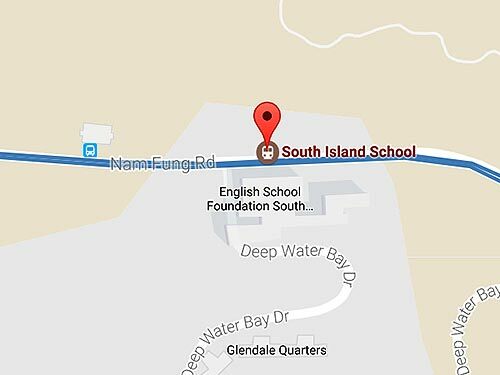 South Island School is located at 50 Nam Fung Road, Aberdeen, Hong Kong, half way down Nam Fung Road mid way between Wong Nai Chung Gap and Wong Chuk Hang. Most students travel to school via the extensive PTA private bus network. The closest MTR station to South Island School is Ocean Park Station along South Island Line. Please note that the school operates a permanent one way system round-the-clock. All vehicles should access via the rear entrance from Deep Water Bay Drive only.